Lance and his team have been great to work with. 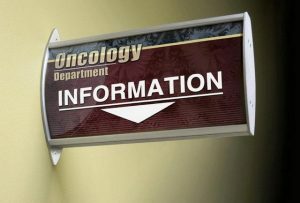 Visibility Signs & Graphics produces room identification signs that are the perfect blend of form and function. Our signs are designed to play their vital part in your facility’s wayfinding master plan and crafted to give your business that elegant, professional feel. Crisp and clear room ID signs exude a sense of stability and professionalism in your business. With Visibility Signs & Graphics’s team of sign specialists and innovative designers, you can tailor their design to suit your brand identity, to fit your budget, and to accomplish its purpose. With a deep understanding of the set standards and requirements of the Americans with Disabilities Act of 1990 (ADA), Visibility Signs & Graphics can help you by designing the proper room ID signage as well as installing them in the proper locations. 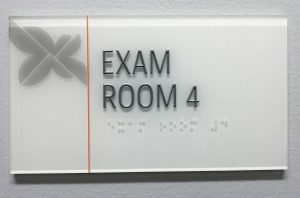 ADA-compliant room ID signs must follow the legal guidelines on the usage of text, tactile elements, Braille II, colors, pictograms, as well as those regarding the placement and installation of the signs. 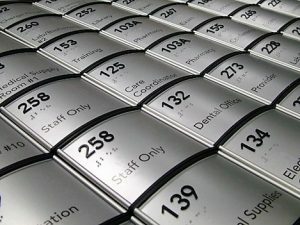 With Visibility Signs & Graphics’s years of sign-making experience, you can rest assured that your room ID signage will meet the very specific standards of the law. 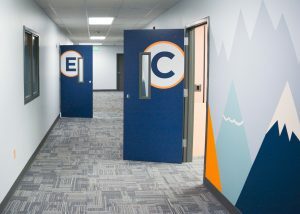 Visibility Signs & Graphics designs the right room ID signs for every business type, allowing you to make it easy for your staff, visitors, and guests to find their way without human assistance. Having been in the sign-making industry for many years, we know that a sign’s material plays a huge part in communicating the exact message that you want to convey. Here at Visibility Signs & Graphics, we work with many materials in order to give you the exact sign that your business needs. We at Visibility Signs & Graphics know that sign-making is far from just producing good signs. Our industry is about creating great designs, sourcing quality materials, making superior signs, meticulously installing them, and having support/maintenance available. We’ve got all of this covered for you. Visibility Signs & Graphics has the experience and the talent to capture your brand identity, and showcase this in all of your room ID signs. Give your customers and visitors a satisfying and convenient business experience by having room identification signage that’s both attractive and informative. Visibility Signs & Graphics can help you with this. 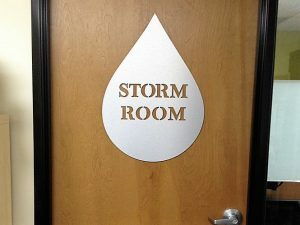 Call Visibility Signs & Graphics today at (801) 923-5961 for your Free Consultation with Room ID Sign Expert! Give them a try you wont be disappointed!! I have recommended Visibility to my friends.